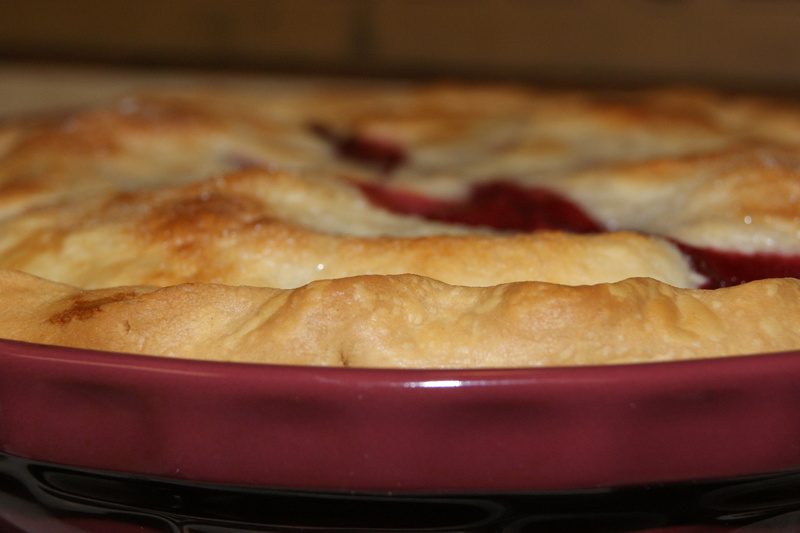 Cherry pie is the epitomy of an traditional American dessert. 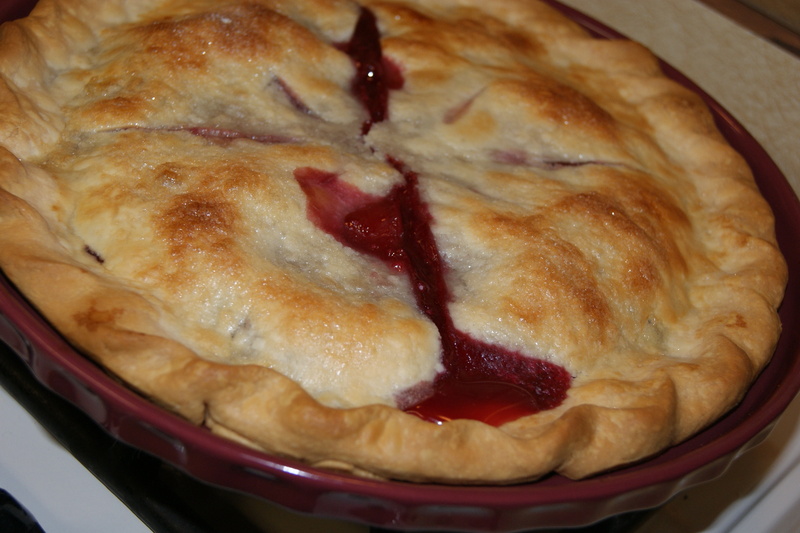 Sweet cherry pie, Oh yeah.” Not that it is referencing cherry pie, but baking cherry pie made me think of this song. 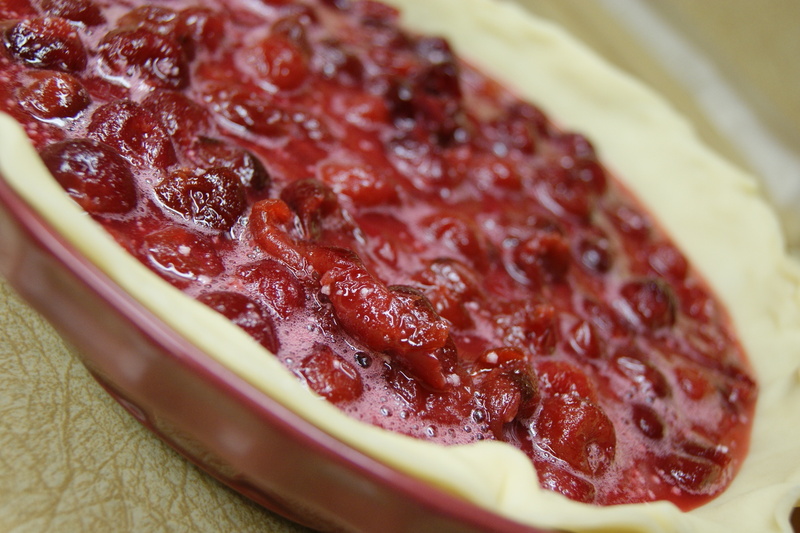 Sweet and tangy seasonal taste is what’s in store for you with this cherry pie. Cool the finished pie until ready to eat. 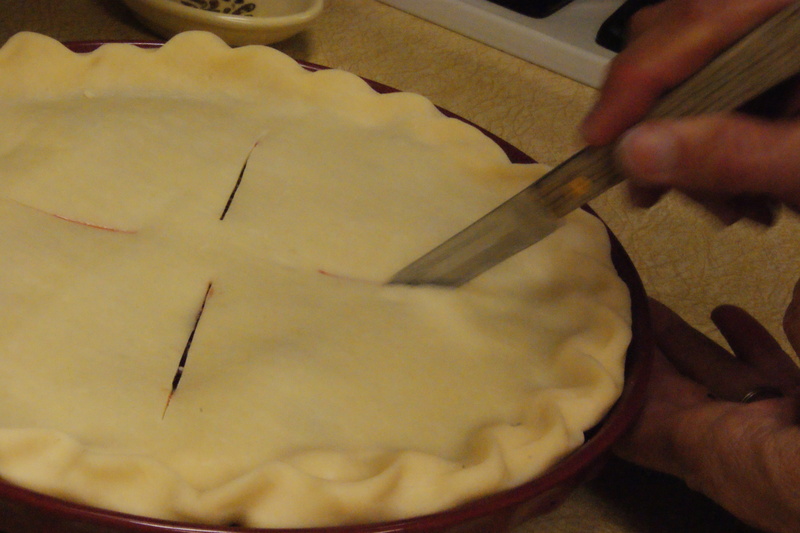 To make the top of the crust shine, brush with milk or egg white and then sprinkle with sugar. I neglected to copy down the recipe my mom and I used to make this pie, so that’s why I don’t exactly have hers. We most likely used more almond and vanilla extract that the recipe calls for we always do. 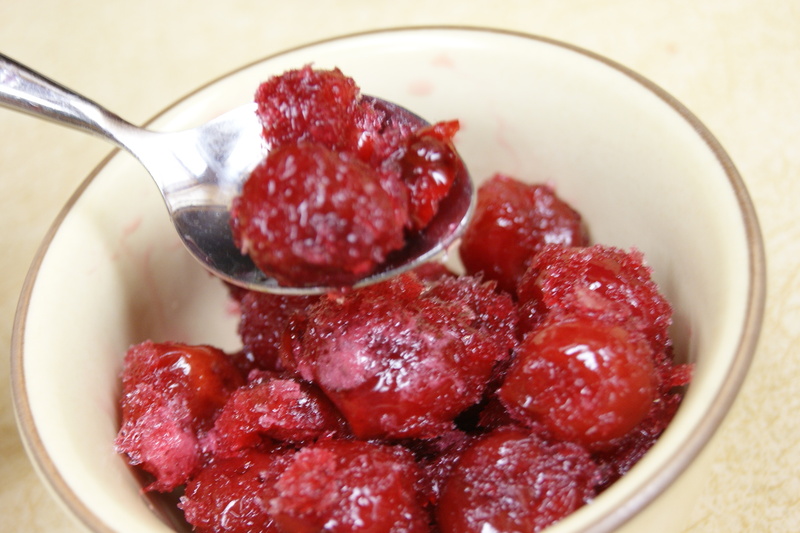 And we used frozen sweet cherries that had been thawed and drained. And we also snacked on a bowl of frozen cherries. So good! My moms buys them in big tins once a year and puts them in smaller tupperwares in her freezer. And I am lucky because she gives me some to bring home and eat too! Gotta love all the food mom sends you home with when you go visit! Have you ever had frozen cherries like this? 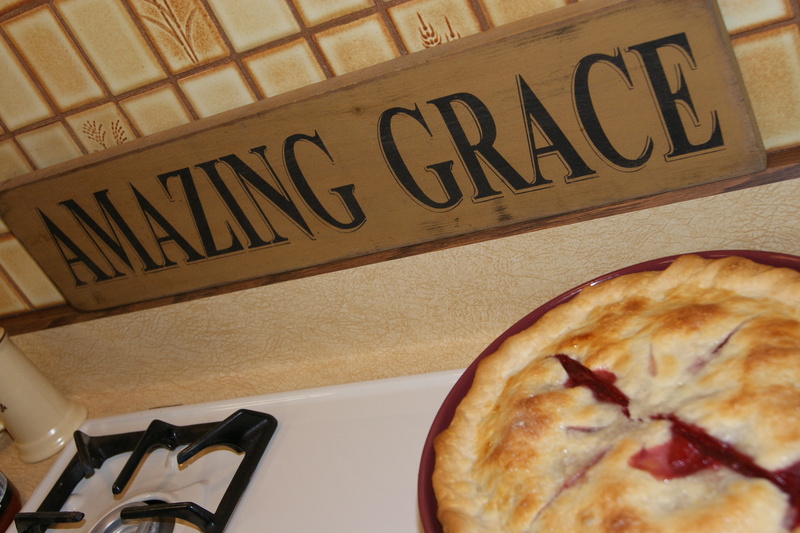 This entry was posted in Deliciousness and tagged Cherry, cherry pie, Cooking, Dough, pie, Sugar, sweet. Bookmark the permalink. Got the song stuck in your head now?! wow, that pie looks perfect! Oh thanks! Gotta love cherries! I’m married & in my 30’s as well and still enjoy visiting my mother and having her send me home with all sorts of goodies. It just never gets old! 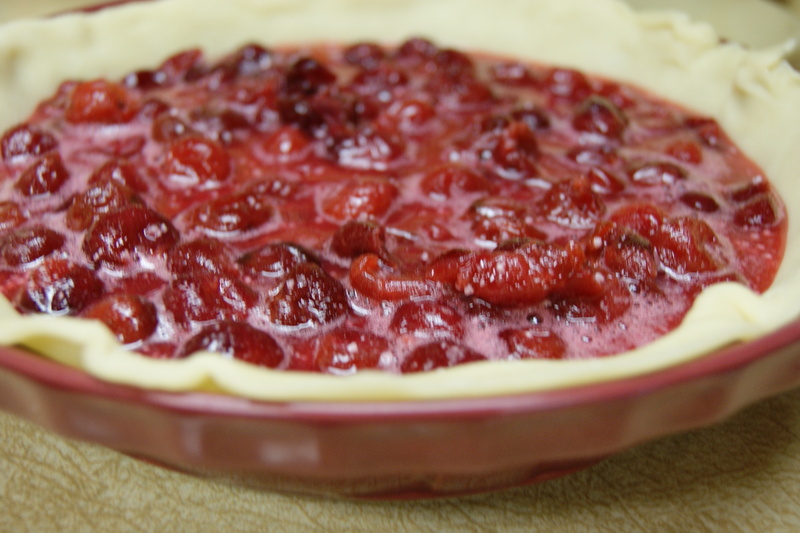 Your Cherry Pie looks delicious! The crust is perfect! Yumm! I know, my mom always makes so much good food that I’m always happy to walk out the door with the leftovers. I wish I had taken more home from the holidays this year tho!